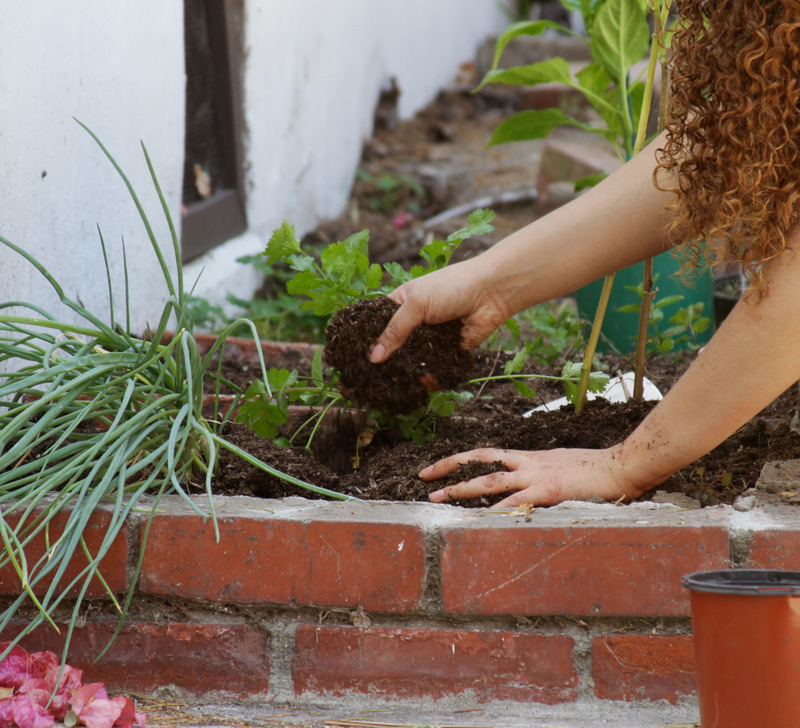 At the beginning of this summer, I wanted to find some room to plant some vegetables in our yard. Eventually we plan on having large wooden planters built, but for now, we are using a small strip of dirt on the side of the house. 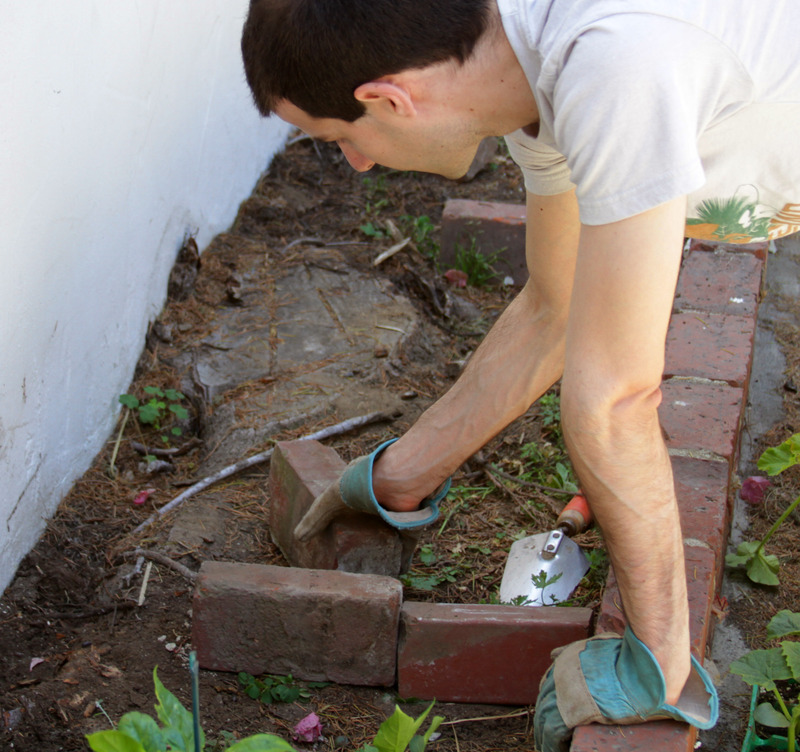 There were some extra bricks lying around behind the garage, so we were able to use those to set up separate beds. 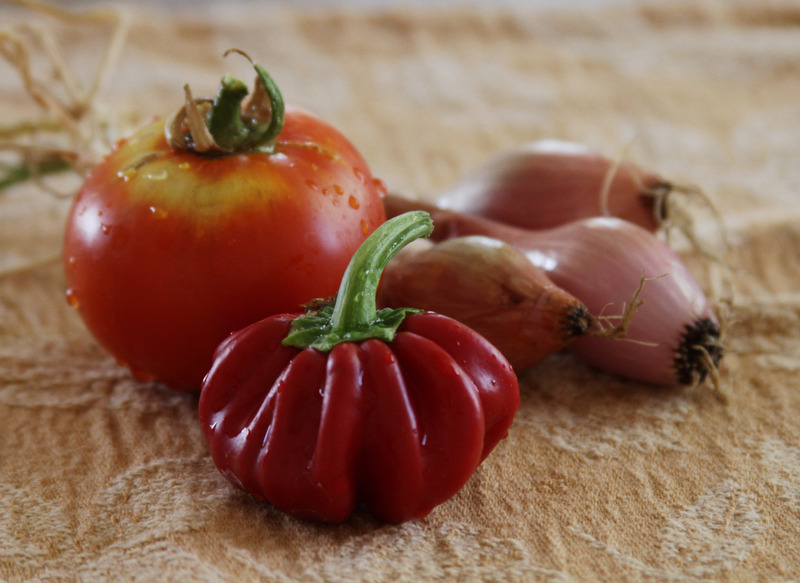 When deciding on what to plant, I went with vegetables I tend to use the most in my day to day cooking, such as peppers, tomatoes, squash, shallots, and a variety of herbs. 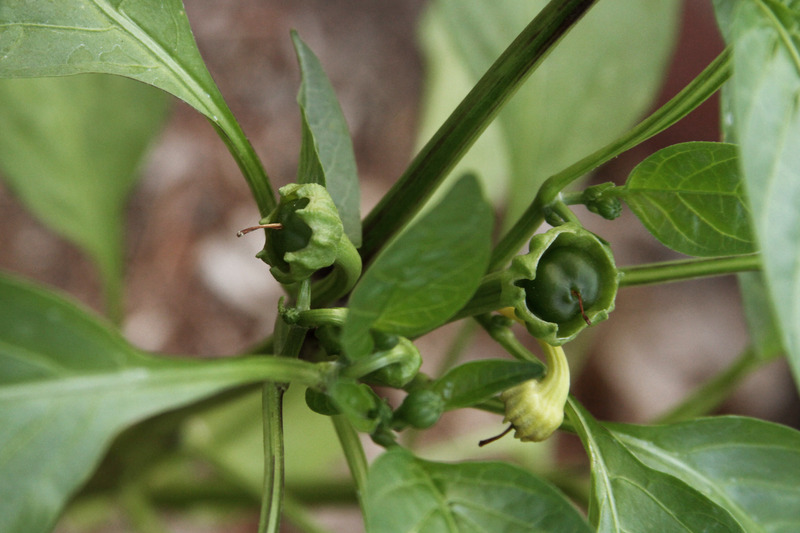 It’s fascinating to watch them grow from tiny buds into colorful delicious produce. 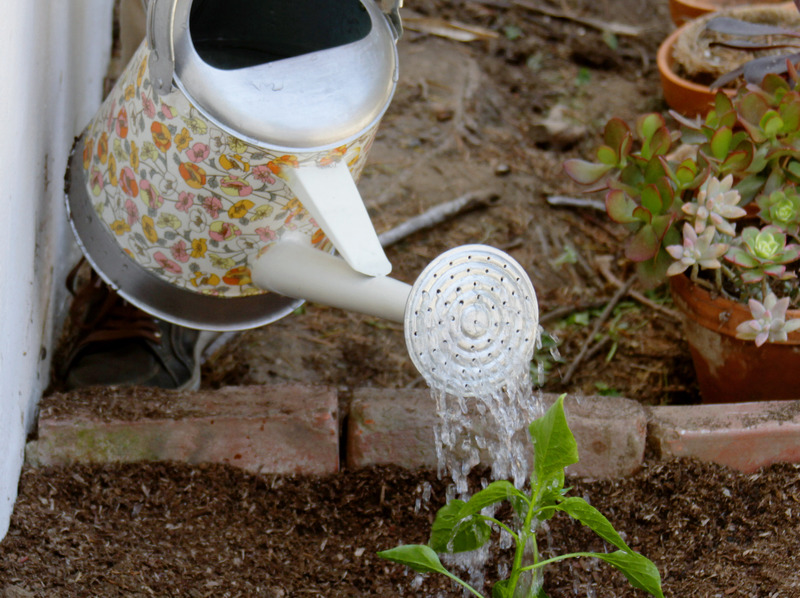 It can be very difficult to grow plants in the perpetual drought of southern California. 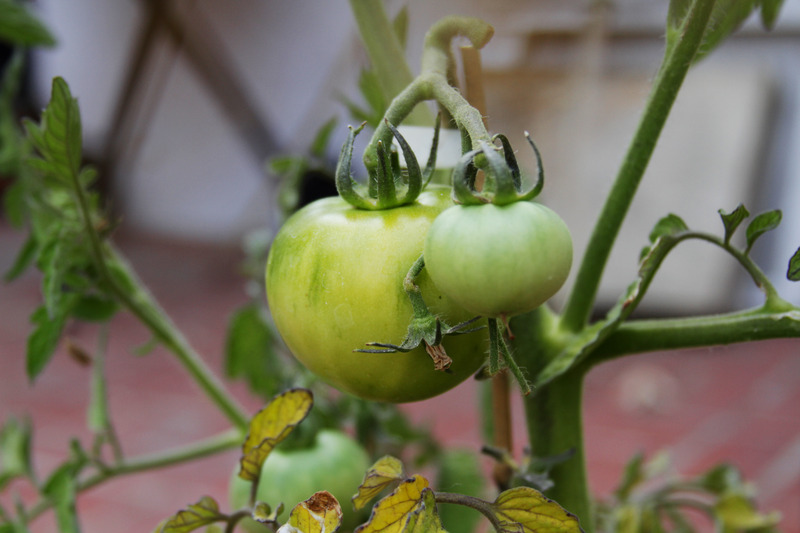 Some of our vegetables started to cook when temperatures reached 110F. Others, like this cucumber, never grew larger than an inch. 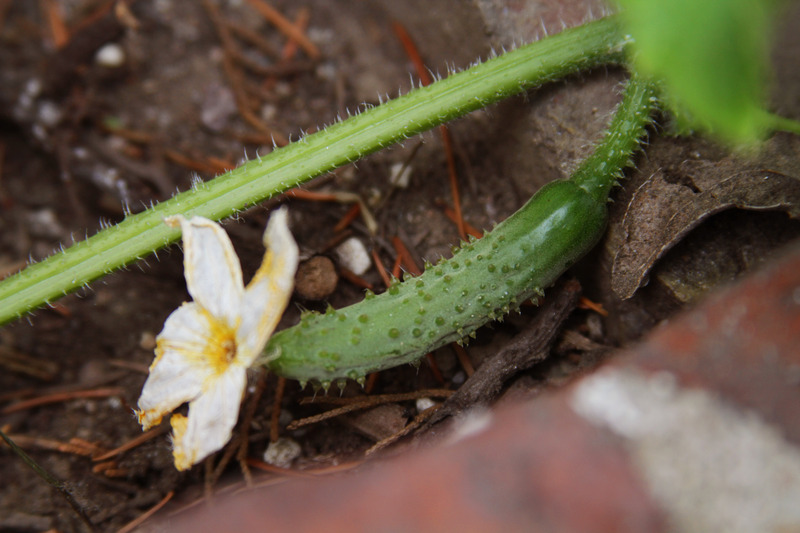 However, new cucumbers have started to grow, and we’re hopeful this batch will do better. 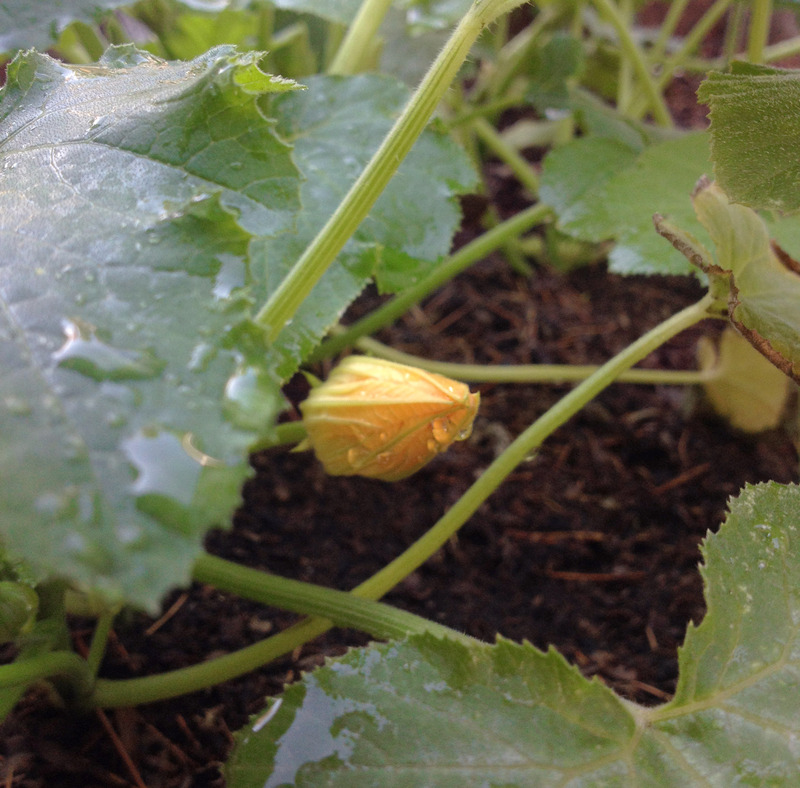 We haven’t had any squash fully grow yet, but we have several squash blossoms that we hope will yield fruit in the autumn. 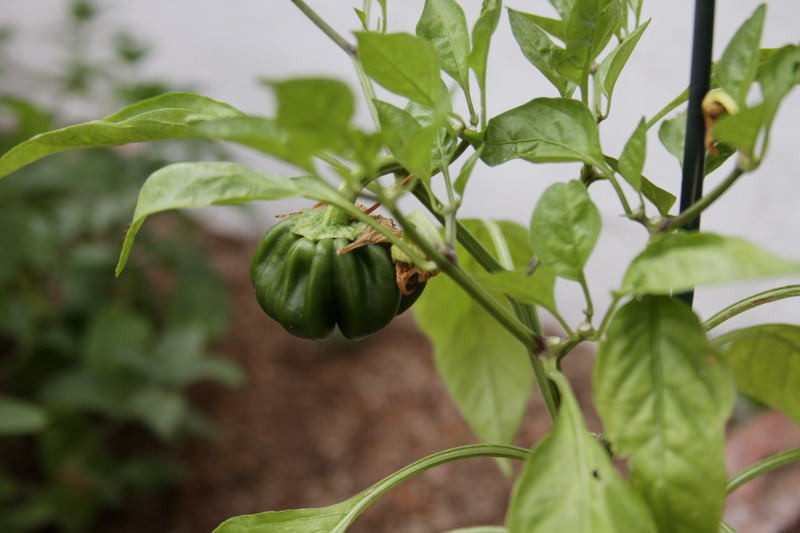 Though we’ve only harvested a small amount, it has been very exciting to cook with produce from my very own garden, and I’m certainly looking forward to expanding it in the future. 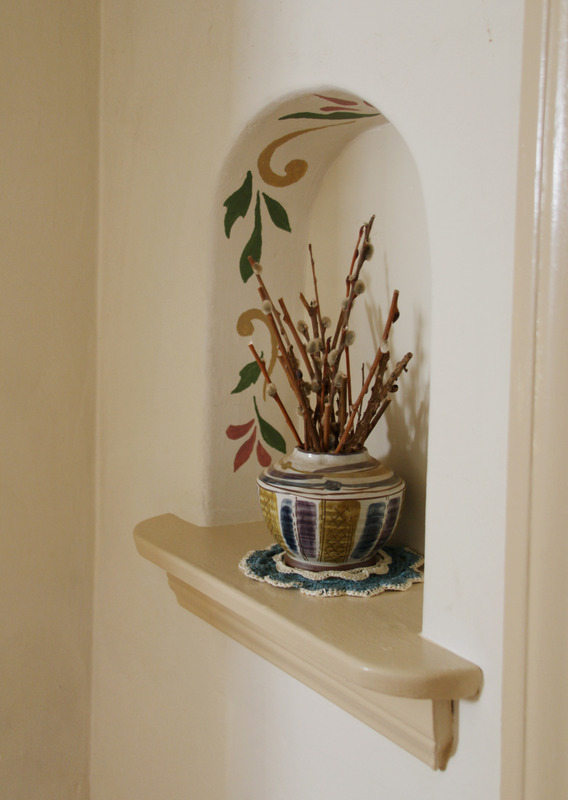 One of the most delightful touches in our home is a small wall alcove in the hallway near the guest room. 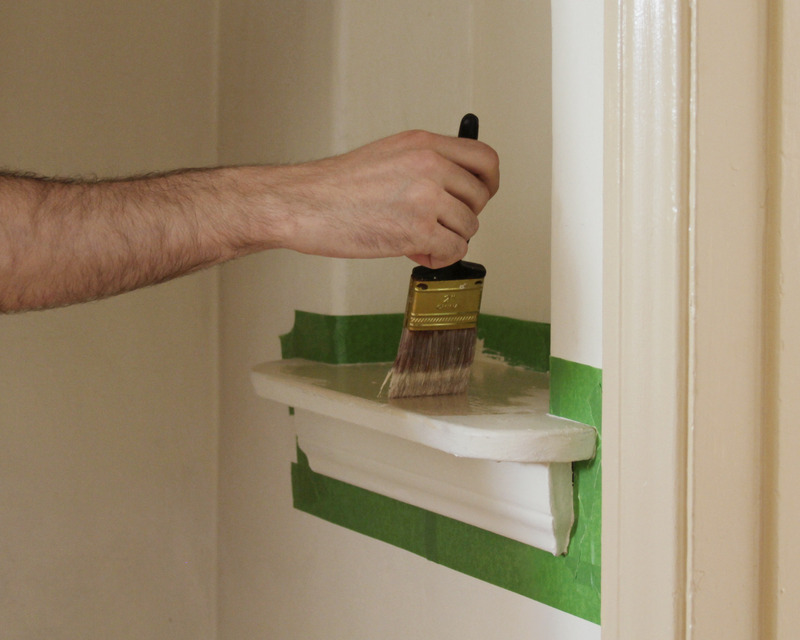 After recently making some HVAC infrastructure changes on that wall, we went ahead with some ideas that we had been kicking around for painting the alcove. The entire space had been the same color as the rest of the wall when we moved in, and we knew that we at least wanted to treat the wooden mantle section the same as the trim in the rest of the hallway. 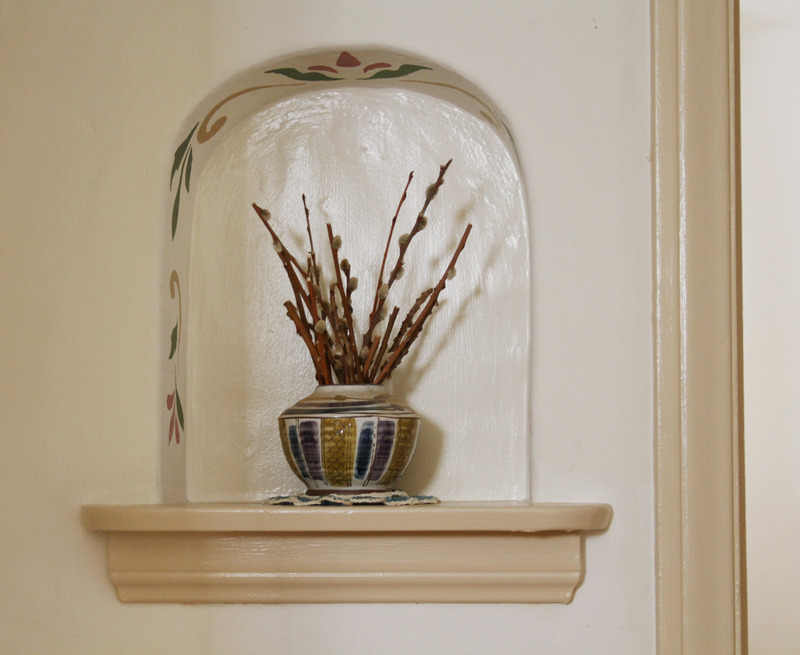 For the back face of the alcove, we decided to use a paint that was ever so slightly darker than the wall, but with a semi-gloss finish to provide a very subtle separation. 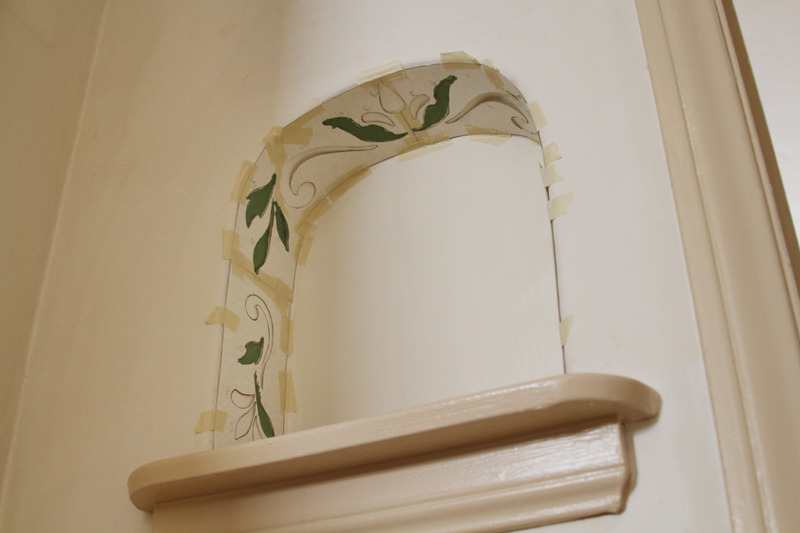 The main part of this project was creating a stencil that was similar to the one we used over our front door. The curved surface made this process a bit tricky. 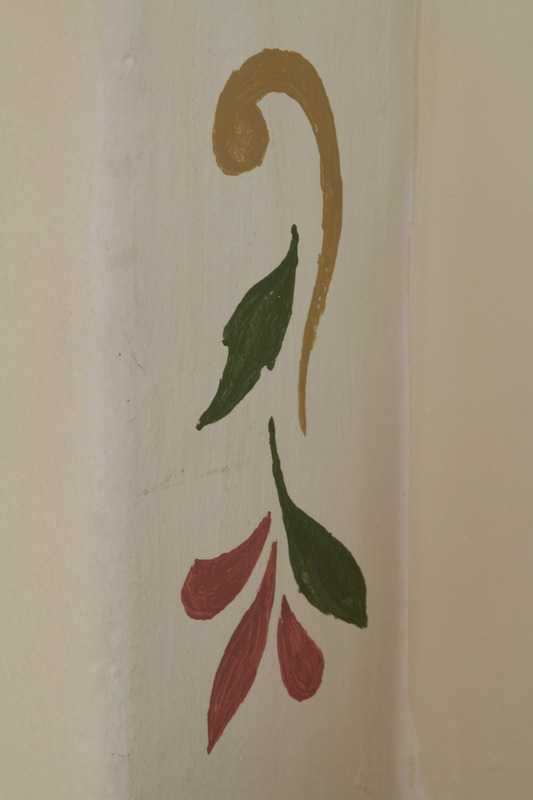 The stenciled shapes are just rough enough to feel right with the texture of our walls. Small touches like these are the types of things that made us initially fall in love with this house, and it feels wonderful to be able to embellish upon it and make it our own.